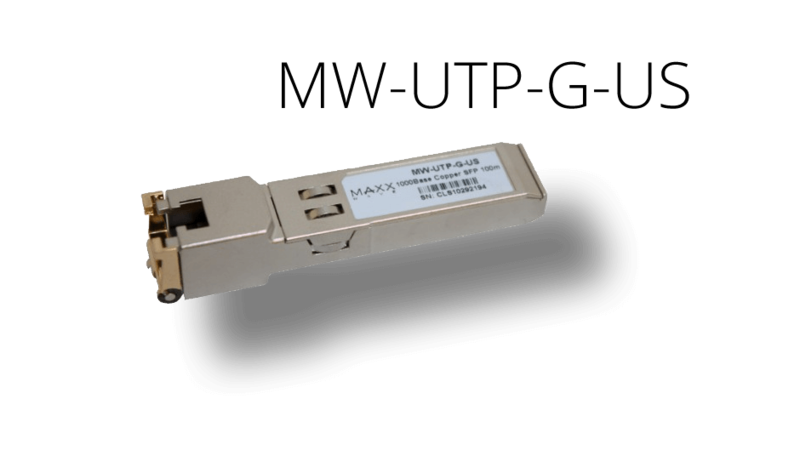 Maxxwave is at the forefront of copper SFP technology. The new Maxxwave Copper SFP transceiver is a high performance, cost effective module compliant with the Gigabit Ethernet and 1000BASE-T standards. Compatible with Maxxvave, MikroTik, Cisco and most other SFP module devices! • 1000 BASE-T operation only, will not operate at 10/100 speeds.